After making my Toothpick Engraved Chocolate Bar Chalkboards, I knew the next project on my list would be to create the traditional approach for showing your favorite teacher how much they are appreciated. 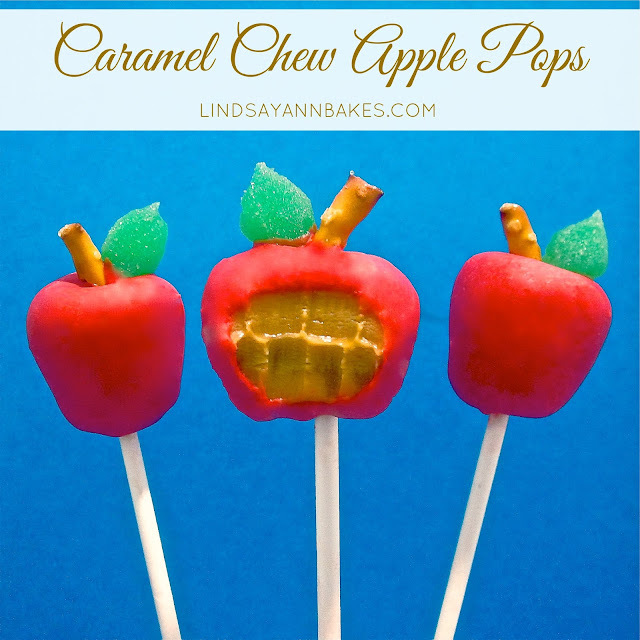 These little apples on a stick are made out of caramel chew candies enrobed in candy coating with an apple flavored fruit chew leaf, creating a caramel apple flavored treat any teacher will love. Unwrap three caramel candies (or use my homemade apple cider caramel recipe!). These are the caramels I used. I got them in the candy aisle of the grocery store. Using the warmth of your hands, roll all three caramels into one ball. Push lollipop stick into the caramel ball, making sure not to push it all the way through the top. Form caramel into an apple shape with your fingers, making the apple slightly wider at the top, tapering inwards at the base. 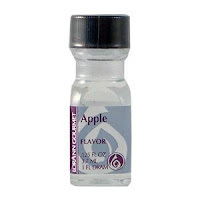 Melt red candy melts according to package and stir in a few drops at a time of apple flavoring, until you have reached your desired apple taste if desired. Place in the refrigerator to dry. You can even make the little "Apple Bites" without the lollipop stick that I made for Celebrations.com. Make them to give as gifts, or create minis with just one caramel square and use them as cupcake toppers for a fun and festive touch! Show your favorite teacher your "Thanks" or hand out as a special classroom treat! You can individually wrap your pops in clear plastic bags for a party favor, or you can create a display for your pops. To create a display that your pops can stand upright in, take a block of Styrofoam and wrap it in festive wrapping paper or tissue paper. Push the bottom of each stick into the styrofoam for guests to easily grab and enjoy. Click here to check out more Graduation, Back to School & Teacher Appreciation Recipes & Treats!